Wavecor is a subwoofer capable of producing extremely low bass from small cabinet. To achieve this, the Wavecor SW 178 WA 01 was combined with a matching passive membrane. 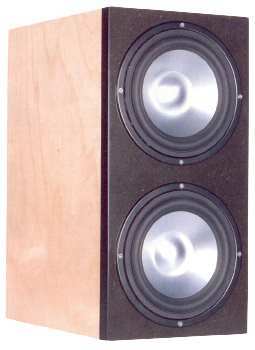 Depending on the set-up (by means of adding weight to the passive membrane or choice of subwoofer amplifier) this sub may be used as low bass expert or as standard type. Wavecor drivers are made in China; three top managers at Wavecore used to be managers at Vifa and Peerless resp. DST. Please note: the inner cabinet separation is only needed for the DS 1.2 module.